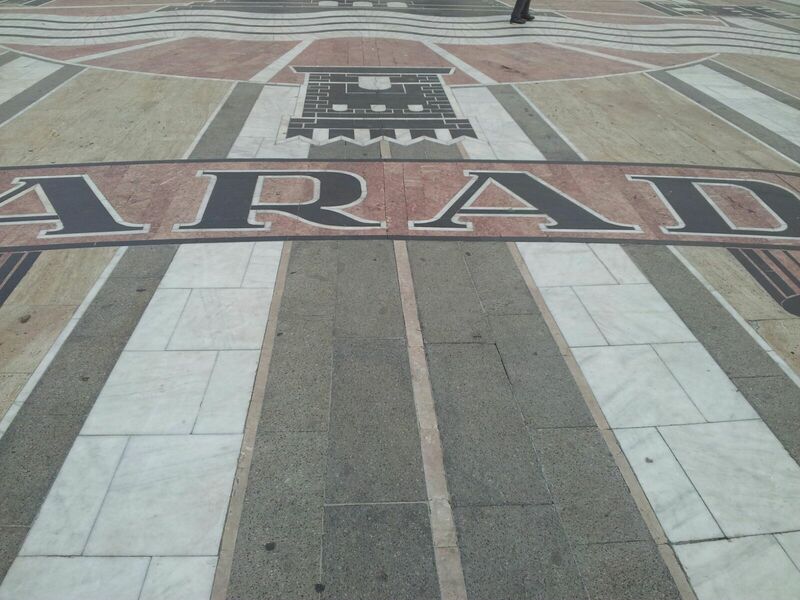 8 things and habits I will miss of my dear Arad - zooming up.Blog. 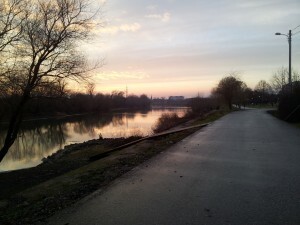 Bicycling close to the river. My dear Mures river is not similar to my dear Sardinian sea but it has the power to let me relax and peaceful mood. 2. Taking pictures of the sunset. I really enjoy take pictures in general. 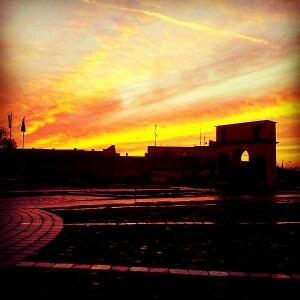 The sunset is my specialty and Arad is good for this kind of picture. 3. Corn ciocolata in my favorite patiseria. Everyday when I work in the office I take a break around 11.00 a.m.. All the time my colleagues think that I have some secret girlfriend or business. I cannot say “no”, maybe it’s true. But for sure during my break I come in my favorite patiseria in the center of Arad and I eat one amazing corn ciocolata. 4. The flag of Romania. 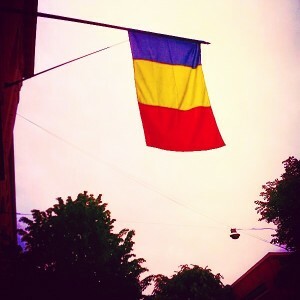 When I see the Romanian flag for me it’s something of special. I like the colors: blue like the sky, yellow like the sun, red like the sunset. It’s a perfect combination. I like when there is some celebration because the city is full of these beautiful flags. 5. My apartment close to the Railway Station. 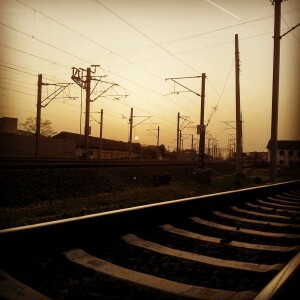 I like to travel and a Railway station close to your flat is super. Especially when I’m tired and I come back in the night at 1:05 a.m. from Timisoara. 6. The reference points for the meetings. 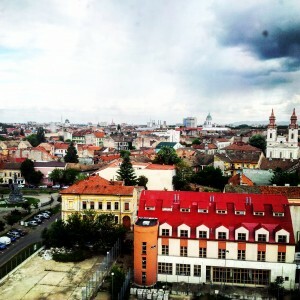 Primaria, Teatru, Podgoria… They are always the reference points for a meeting when some of my new friends just arrive in the city and don’t know how to go in some place. Actually it’s not my favorite kind of food. But I’m a volunteer and when there is no time for cooking I always opt for this cheap and fast option. My bicycle is not the best one in the word. It’s not the faster one. It’s not the comfortable one. 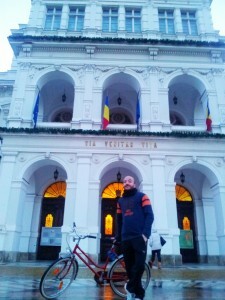 But with this old bicycle I visited all the city and I know Arad so well like Sassari my hometown. And okay, maybe I will miss the people as well because of course I’m not a nostalgic-man but I’m not also an ice-man.